Never break a bobby pin again! 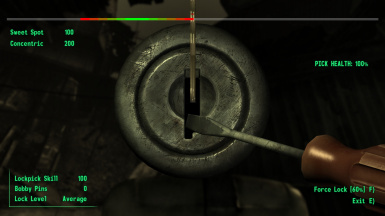 Shows you the sweet spot on all lockpick menus. Shows the debug lockpick menu for all doors and containers.